We've provided student-athletes a great tool to discover and research colleges all over the country. 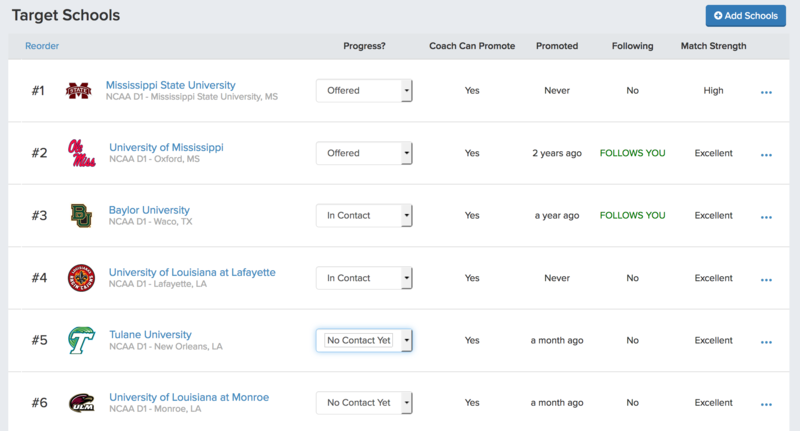 You can add any college to your Target Schools List by clicking Add To Targets. For each college on your Target Schools List, you can identify at which stage you are in the recruiting process. Be sure to revisit and update this list during your recruiting journey with your coaches.